Interns and volunteers within our therapy department: Get the opportunity to get to know our work and support our team of therapists, dolphin trainers and work closely with our patients and their families to expand their knowledge for their studies or work. Must be willing to commit to three months within the time period May — end of October , must be flexible and hard-working. Qualifications: Good English and knowledge of other foreign language(s). Suitable interns for the therapy department: Therapists with work experience or medical/therapy students who have completed at least 3 semesters. Desired: Experienced Physical/Cranio Sacral/children therapists with completed apprenticeship. Applicants for dolphin trainer or veterinary training with professional experience may apply for part or whole-year training, with training charges, for the purpose of dolphin or research studies. Please apply for internship only online via our application form. 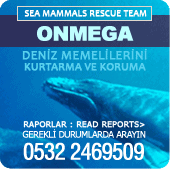 Onmega Dolphin Park is looking for new trainers to join our team. We are seeking for a person capable to perform in swim interactions and assisted therapies with dolphins, with the best attitude to learn and dedicated to work with joy and passion to be guided in to our training system. Our goal is to provide a healthy and enriching environment for our dolphins, to use advanced operant condition techniques based on trust and satisfaction of our animals and to educate the public about marine mammals and their environment. Animal behavior observation and record keeping and for the enrichment program. Active participation in: handling and training, medical procedures, interactive swim programs and assisted therapy sessions for handicapped, educational talks. Assist other team members with their animal related goals and challenges. Develop critical thinking skills to troubleshoot complex behavioral issues. Recognize social compatibilities and manage dolphins accordingly to enhance optimum responses. Identify enrichment needs, appropriate uses and schedules. Be willing to work in a group environment with multicultural characteristics and to respect cultural and ideological differences. High school diploma or equivalent will be evaluated.